I suspect anyone who knows Persephone Books has a favourite endpaper and mine has never been displaced from its number one slot. A few have come close but none have overtaken the 1888 'Poppies' by Thomas Wardle & Co which adorns Julian Grenfell: His Life and the Times of His Death, 1888-1915 by Nicholas Mosley. But it seems not even a nice endpaper can persuade me to read a 400 page book before its right moment, and that seems to have arrived fifteen years after Julian Grenfell was re-published and almost thirty eight since it first appeared. I was expecting a sort of Great War soldier's biography, and indeed that does inform the final sixty pages of the book, though by the time I reached that phase it became clear that war seemed infinitely preferable to anything else in Julian's life to date. Julian's mother Ettie, the granddaughter of the Earl of Westmoreland marries Liberal MP Willy Grenfell in 1887, Julian's birth follows in 1888 and that of his brother Billy in 1890. Julian is immediately left with a wet nurse while his parents nip off to holiday away the summer in America. Within ten years this 'very beautiful boy' will be packed off to boarding school, thence to Eton before studying Greats at Oxford, and you would imagine that Julian's socialite mother plays little part in his life. ‘They live in the sunshine, and when the sun doesn’t shine they pretend it does,’ said Ottoline Morrell of Family Grenfell. but Ettie’s love seems conditional because she expects much in return. …which is all fine, except children have to become grown-ups and you wonder how on earth Ettie is going to allow this to happen. Ettie's stifling maternal love for Julian knows no bounds, likewise her love for other men, and Nicholas Mosely astutely explores the potential roots of all this in Ettie's early life, as well as the impact and the confusion of the various male role models and his mother's behaviour on the young Julian's life. Nicholas Mosley offers Ettie's grief-laden childhood and adolescence by way of explanation for her modus operandi. An over-exposure to the death of close family members with little recognition or understanding of a child's need to grieve, and with no means of expression for that mourning. With the emotional scaffolding of her life dismantled at an early age who can know Ettie's deep-rooted fear of expressing any negative emotions. Having recognised her own family’s tendency towards melancholic depair Ettie decides to conceal it all behind a ‘veil of high spirits. She is often described as possessing and living ‘the stubborn gospel of joy. For all her surprising devotion to Julian, and Ettie was more involved in her son's life than most, her policy with all men of creating an attachment dangerously interlaced with a purposeful separation anxiety, coupled with her penchant for the 'stubborn gospel of joy,' ensures a tangled and dishonest emotional web of dependency for all concerned. This is John Bowlby completely turned on his head. Suitors fall at Ettie’s feet begging for attention, others swear lifelong but unrequited devotion and can make no other meaningful relationships beyond her, whilst Julian grows up confused and trapped in a cycle of guilt, penance and forgiveness. Ettie's constant admonishments in her letters to him, suggesting that he shows a lack of affection, make astonishing reading. It's all a rather disturbing master class in the power of a woman to control all around her. Willie, Julian's much-cuckolded father, though elevated to the Peerage in 1905 to become Lord Desborough, is rarely mentioned. With those themes of Ettie's possessive love, dependence, power and control and emotional blackmail I could only think he was probably doing the very sensible thing and staying well clear of her tangled web. ...writes Ettie in a rare and candid moment of insight into her true feelings usually masked by that insistence on light, order and denial. Julian meanwhile is growing frustrated, angry and depressed. He can have no outlet for his own emotions, and should he favour a girl Ettie is in for the skirmish and to frighten her off. Julian is hers, trapped and disempowered and his eventual breakdown comes as no surprise. At the age of twenty-one, he takes refuge in a series of essays as a means of telling Ettie indirectly how damaged and trapped he feels. They are intense and convoluted yet replete with very obvious messages for Ettie who is sadly almost incapable of discerning between her lovers, her admirers and her son. It's a complete mess and a muddle...poor Julian. He eventually has an affair with a married woman, Pamela Lytton, Countess of Knebworth and there is nothing Ettie can do about that. But constantly kept on the back foot, always apologising, trying to please and appease, and emerging from each emotional skirmish with his mother a little more damaged and further consumed by guilt and inadequacy. You want to airlift him out and give him to Dorothy Canfield Fisher. Described as the best of friends, the dearest of men, one who hated pose and affectation, blessed with a natural courtesy and grace and the finest manners, a winning smile both charming and intimate...and seemingly the mother from hell. Little wonder that Julian is frequently on the brink of suicide and also takes up boxing which seems, in the context of his life and its troubles, like a legitimate means of self-harming. 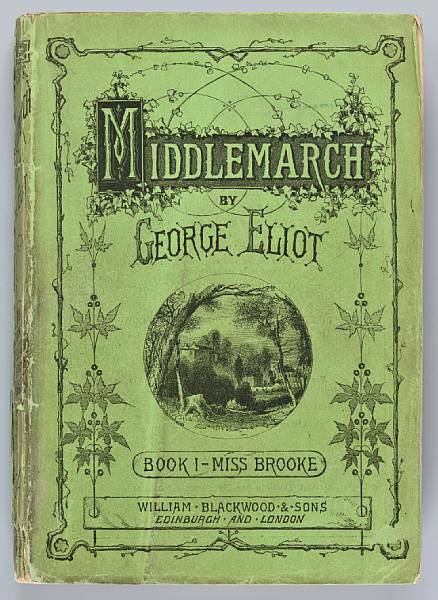 Ettie meanwhile is the most sought after house guest in the upper echelons of society, a friend to politicians, Balfour and Asquith, trusted by Royalty, the confidante of authors…H.G.Wells, Kipling, Yeats. Everyone confided in Ettie, your secret would be safe with her. The Hostess with the Mostest and can you just imagine the rivalry with near neighbour Nancy Astor…no love lost apparently and it is as if Nancy has hacked into Ettie's Facebook page and purloined all her friends. When the war finally does loom on the horizon, and I realised I was nearing the end of the book, it became clear that the war was almost the least of it. For many of these young men it couldn't come soon enough, a welcome release from the emotional predicaments of home, with the thought of a glorious hero's death in battle to be desired. The twenty-six year old Julian finally feels he has a purpose in society, even if that purpose is to break up what is accepted and known before remoulding it. Except Julian had never been accepting, this is what he and many like him had yearned for, so what a refreshing and different light this book has cast for me over that pre-war Edwardian era and the war itself. Young men largely unfettered by the rules of society (one of Julian's greatest pleasures was to be allowed to go unwashed) and all that suppressed inner rage and violence suddenly given legitimacy. It is no spoiler to tell you that Julian is fatally wounded at Ypres and dies two weeks later, but not before becoming a legend for his light-hearted courage, and what of Ettie who was at his bedside? But there is a public and a private face to Ettie’s grief as Cynthia Asquith notes in her diary. Billy had been killed some months after Julian. Like many the war was indescribably cruel to Ettie who converts the family home at Taplow into a convalescent home for exhausted nurses and over the next three years over a 1000 would stay there. At one point in the book Nicholas Mosley (who married Ettie's granddaughter) voices some italicised personal insights of his own. Stepping aside from his role as a biographer, to offer more subjective opinions, he confesses his love and admiration for Julian whilst offering a form of apologia for Ettie's behaviour. I relished this moment because it affirmed my own feelings. Rare to find in biography and many would say breaking the first rule of objectivity, but surely the question we all ask of the author as we read, and in this case I felt very well-placed..